As a parent, you want your kid to be smart, intelligent and more active in every aspect of life. But please don’t convince yourself with thoughts that good memory power, retaining ability, intelligence, efficient communication skills and leadership qualities can only be inherited and not developed within. Today we will discuss how we can instigate a kid’s brain cell to provoke their thought process & their ability to tackle every problem. Education can be limited to classrooms but knowledge cannot. Create an environment for them to learn from anywhere and anything. Cut the screen time for them and as well as yours. Parents are the best mentors for kids. 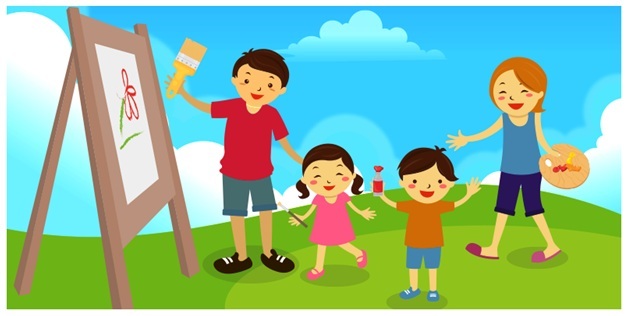 Do some outdoor activities – paint the backyard, do some gardening or make a model of Volcano. These activities will give them confidence to think out of the box. Expose them to every possible thing on earth – right from sports to music, pottery to cooking. It will let them come out of textbooks and explore other aspects of learning. Indulge them into a hobby and let them choose what they want to. Let them do mistakes and learn on their own. Instead of saying, “What have you done?”, say, “Try to do it in another alternative way, you’ll be able to do it.” This is a remark which will let them keep their morale high and boost confidence. Input a idea within them to make a journal or scrapbook where they can collect a number of experiences. 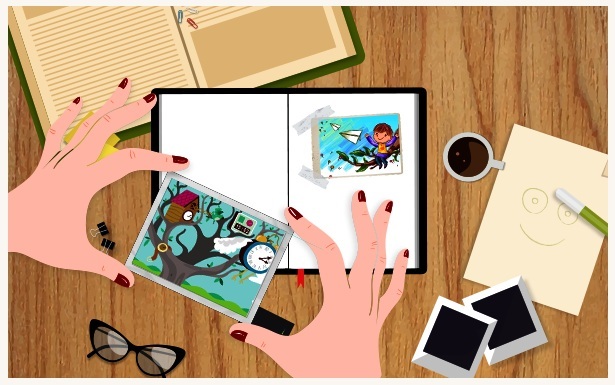 In your last family picnic, your kid came across a wild flower, encourage them to click it’s picture and keep it their scrapbook. Similarly, encourage them to write down the entire experience of the last model or project made by them along with the photograph of it. Your kid will definitely be transformed into a better person with higher emotional intelligence. Emotional intelligence is as important as IQ (intelligence quotient). People with average IQs and higher emotional intelligence outperform people with higher IQs 70% of the time. Not being perfectionist but being more balanced in whatever decision they take and Self Management and Social Awareness are few crucial traits of these people.